تقع Copacabana Apartments على بعد 3 دقائق سيراً على الاقدام من شاطئ سيرفرس براديس، ويشتمل على مسبحين وساونا وحوض استحمام ساخن. تحتوي جميع الغرف على شرفة. 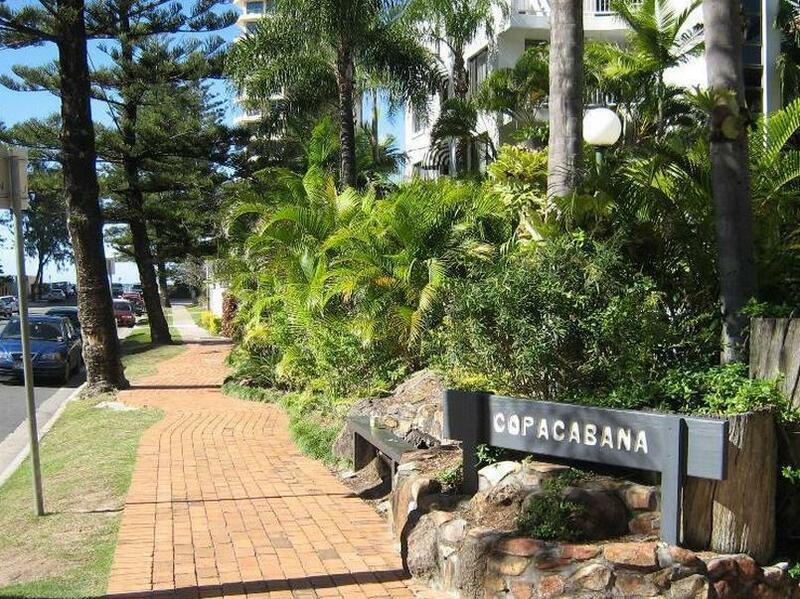 تقع Copacabana Apartments على بعد 7 دقائق بالسيارة من برودبيتش. وتبعد مسافة 25 دقيقة بالسيارة من Dreamworld وWarner Bros Movie World ومنتزهات Wet ‘n’ Wild الترفيهية. تحتوي جميع الغرف المكيفة على صالة وأماكن لتناول الطعام. وتشتمل جميعها على مطبخ مجهز بالكامل ومرافق غسيل الملابس. تشمل المرافق في الموقع منطقة للشواء كبيرة وغرفة تنس الطاولة وغرفة غسيل الملابس ذاتية الخدمة. ويمكن لمكتب الجولات السياحية ترتيب خدمة النقل من المطار وحجز تذاكر المتنزه الترفيهي. تقع المطاعم والحانات وخيارات الترفيه ضمن مسافة 10 دقائق سيراً على الاقدام في Cavill Avenue. Please be informed that baby cot is $40 per week. يتطلب دفع عربون بقيمة AUD 200 عند تسجيل الوصول لتغطية المصروفات العرضية. سوف يكون قابل للاسترداد بالكامل عند تسجيل المغادرة ويخضع لنتيجة فحص التلفيات في مكان الإقامة. سيطلب من الضيوف عند تسجيل الوصول إظهار بطاقة هوية تحتوي على صورة شخصية وبطاقة ائتمان. يرجى ملاحظة أن جميع الطلبات الخاصة ستكون رهنًا بالتوافر وقد تستلزم تكاليف إضافية. One air con, only in lounge. Bedrooms had fans. No free wifi as advertised on Agoda. One very firm mattress. Great location, friendly staff. Parking was much easier than other apartments in GC. Pools were great. really enjoyed our stay here, we rented a 2bdrm apartment, heaps of room for a toddler, very child proof, walking distance to shops and tram at end of the street, room was well equipped with utensils for cooking etc, perfect for a family, we enjoyed it so much we going back soon!! This is the 3rd time that we have stayed here. first time in 1998 then 2003 and now. In 18 years not much has changed. It's a little out dated. Some of the ceilings are peeling and I think that the furniture should be up dated, including the appliances. Would not recommend it to anybody. Cooking ware very limited and its laundry dryer sometimes might broke down. Bathroom shower very old. It felt like you are living in the 80th. Very good except beddings ( sheets and comforter) were a bit too dirty. Location, living area size, and the greenery about the place. A coat of paint and a good clean would really lift the place. Beaut location and great sized living area. Comfortable stays and we definitely stay there again if we visit Gold coast in future. Great for the price we paid. Kitchen, bedroom and living room. The rooms are nice. Big and clean. But the staff performance on communicate are terrible. Poor service. And the way their presentation are bad. Good location, beside Q1, 5 mins walk from surfers paradise. Old apartment, toilet was leaking in our room. Room came with basic kitchen appliances, utensils, washing machine and dryer. Friendly staff too! Was travelled with my parents and kids, they enjoy staying. With our own transport it does not really distrub our trip. The staff was friendly and show us our room. Near to beach and walking distance. Near to shopping area as well. Highly recommend for people travel with children. Very close to shops, public transport and to the surfers paradise beach. The resort have its own warm swimming pool as well if you don't feel like to swim in ice cold ocean..we have a lovely stay.